Gorham was never able to get over the hump and get over its troubles against Falmouth Yachtsmen Varsity on Thursday, as Gorham fell 5-3 at Falmouth HS after falling behind by five runs in the third inning. Gorham scored three runs in the fifth on a two-run error and an RBI single by Jordan Ward. Despite its efforts, Gorham couldn't finish the comeback. Connor McDowell racked up two RBIs on two hits for Falmouth Yachtsmen Varsity. He singled in the first and third innings. Cam Guarino got it done on the rubber on the way to a win. He allowed three runs over seven innings. Guarino struck out three, walked two and gave up seven hits. Cam Smith was the game's losing pitcher. He lasted just six innings, walked one, struck out three, and allowed five runs. 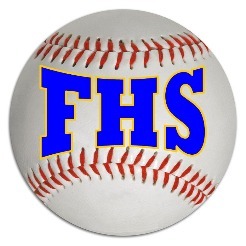 Falmouth Yachtsmen Varsity went up for good in the first, scoring two runs on a groundout by Robbie Armitage and an RBI single by Connor MacDowell. Falmouth Yachtsmen Varsity increased its lead with three runs in the third. The inning looked promising, as Connor McDowell singled, scoring Armitage to kick things off.